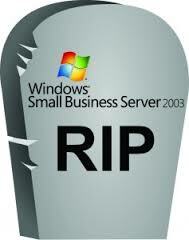 Is your business ready for Life beyond Windows Server 2003? Recent news stories bring global attention to the risks faced by businesses in protecting their IT infrastructures and their business and customer data. While recent security breaches may not be directly related to a particular operating system, the stories (covered by The Telegraph, Wall Street Journal and CNN) provide evidence to the risks and costs of not investing in the security of your business. What is relevant in these stories to Windows Server 2003 EOS is that an operating system that is no longer updated or supported leaves your business open to great security risks. Data breaches impact productivity, costs related to fraud, and most important customer trust.